Mr. Ford is the Director of Admissions and Communication at ODCS since the 2017/2018 school year. Prior to coming to ODCS, he worked as the Director of Admissions in the college sector for the past eight years. He has a bachelor's degree in Business Management, and an MBA in Marketing. 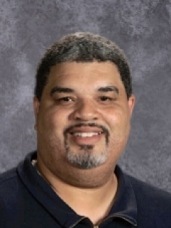 Mr. Ford participated in high school and college basketball, has several years as a basketball coach, and serves as the ODCS varsity boys basketball assistant coach. Mr. Ford has been married to Tasha since 1999. He and his wife have two children who both attend ODCS He enjoys sports and traveling with his family. His favorite Bible verse is John 1:1. Mrs. Tucker is the Admissions Administrator at ODCS. She has been employed here since 2004. Before coming to ODCS, she has had twenty years of marketing and public relations experience with non-profit organizations. As a 1992 ODCS alumnus, she feels honored to help families find the right school for their children’s Christian education. She has a Bachelor of Arts with a major in marketing/public relations and minors in leadership and theatre from Marietta College. At her church she serves with her husband as mentors to engaged couples and as members of the Welcoming Team. 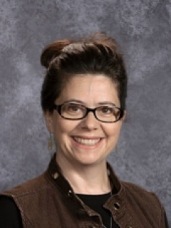 Mrs. Tucker has been married to Scott, a 1991 ODCS alumnus, since 1996. They have two children who both attend ODCS. As well as enjoying meeting prospective ODCS families and providing campus tours, she enjoys hiking and scuba diving with her family. Her favorite Bible verse is Psalms 37:4.